No one messes with Director K Raghavendra Rao and that’s an unwritten rule in Tollywood. Given his background and clout, that’s quite natural. But it is heard that there is one man who dared to defy that. He is none other than the noted producer Murari. Murari made stunning comments on Director Raghavendra Rao and he alleged that Raghavendra Rao lacks cultural and moral values.. He cited one of the personal incident with him, saying that, the director has underestimated his mother seeing her photo. 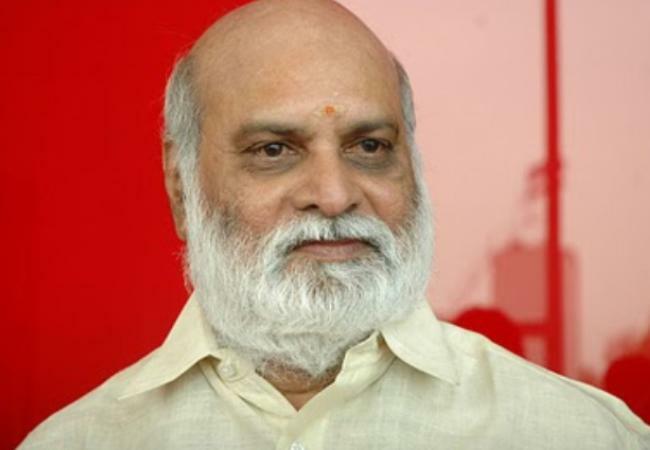 Murari accused Raghavendra Rao of deceiving him during ventures like Janaki Ramudu and Trisulam where Raghavendra Rao desperately refused to make the legal payments of dubbed versions to Kattragadda. Murari participated in a press meet for his book launch and faulted the Geetam university which offered doctorate for the director. Katragadda Murari produced several hit films which includes Naree Naree Naduma Murari;Janaki Rmaudu;Srinivasa Kalyanam;gorintaku. His movies are known for his knack in music. Music for all of his movies were composed by K. V. Mahadevan. He has released his auto biography Navvi Podurugaaka on 17 November 2012 and it has created sensation as he directly criticized many Tollywood bigshots with direct reference. Aishwarya Rai to join Maniratnam again Former miss world and Bachchan family princess Aishwarya Rai, who was last seen in the disastrous outing Fanney Khan with Anil Kapoor and Rajkummar Rao, will soon be seen in silver screens of Tamil Nadu as well.